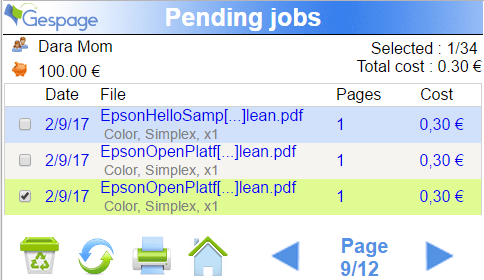 The eTerminal-Epson embedded terminal works with the Epson Multifunctions and enables the communication between the MFP and the Gespage server. This embedded terminal fully fits into the touch screen of the Epson Multifunctions. 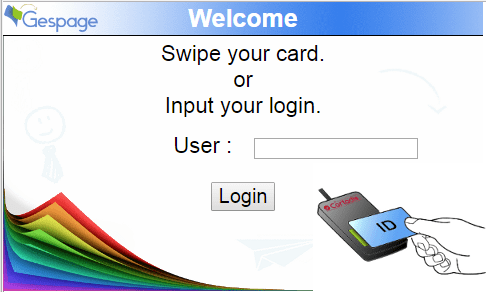 Secure use of the Epson MFP by login, login/ password, code, card (badge reader in option). The documents may be released, deleted or kept in the queue.